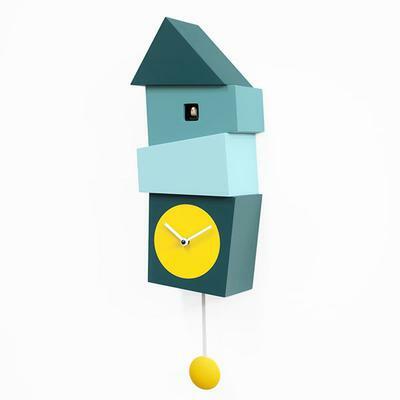 This Crooked Cuckoo Clock - Turquoise is simply too charming to pass up. 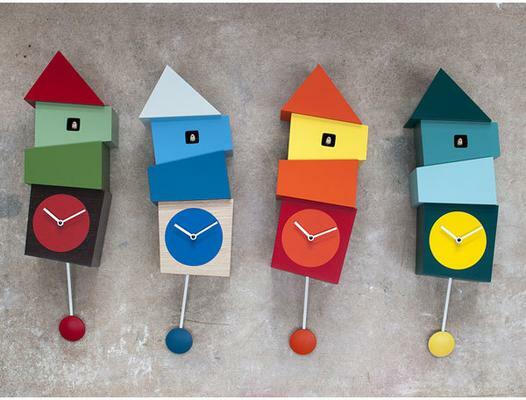 Gorgeously made, the clock features a crooked design. 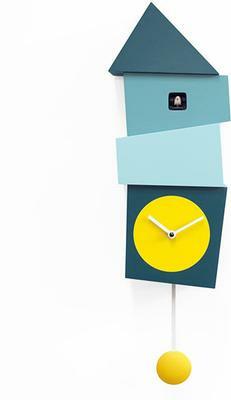 It's mainly decked in various shades of blue with a bright yellow clock circle near the bottom. There's also a yellow pendulum at the bottom of this clock to balance things out. However, the real surprise is when the clock hits every hour. Every top of the hour, you get a wonderful little cuckoo bird popping out from a small hole at the top! This little guy will make sure you know what time it is. 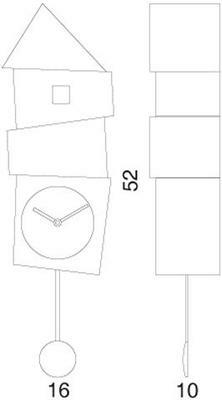 The clock also has a built in light sensor so come nighttime, the cuckoo bird won't wake you up from your comfortable sleep. Add this to your living room, bedroom or even by your hallway, it's a fantastic piece to have.